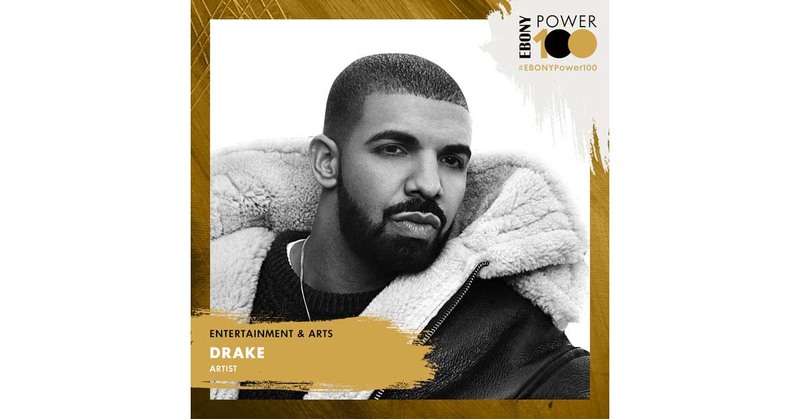 Canadian rapper Drake is no stranger to the EBONY Power 100 list, and for good reason. The multi-talented musician has dominated hip hop for almost a decade, continuing his run with the 2018 release of fifth studio album, Scorpion. Not only has his latest body of work broken several streaming records since its June debut, but spawned the viral Shiggy Challenge, taking over social media with his infections single, "In My Feelings." Soon after going platinum on its day of release, all 25 songs from the double-album went on to land on the Billboard Hot 100 chart, with singles "God's Plan," "Nice for What" and "In My Feelings" all reaching #1. With the October release of Bad Bunny's "MIA" featuring the MC, Drake breaks The Beatles' record for most Billboard Hot 100 top ten hits in one year with 12, beating out the legendary foursome who set the record with 11 back in 1964. Drake is currently supporting the uber-successful album with an international tour featuring fellow hip hop heavyweights, Migos.